This text is an abstract of the article “Memoranda of understanding letters of intent and contracts: an analysis of speech acts” by Silvia Cavalieri. Since the use of speech acts in written legal discourse has hardly been analysed so far, Cavalieri’s (2014) article explores the differences in the use of modals when performing illocutionary acts in the case of three legal genres: The Memorandum of Understanding (MoU), the Letter of Intent (LoI) and the contract. The article focuses on directive and commissive speech acts, which are very common in these types of official documents, and is based on Searle’s (1976) theory on speech acts and on Trosborg’s (1995) theory on legal speech acts. The Letters of Intent are preliminary documents which outline a bilateral or a multilateral agreement between institutions. They mainly indicate the intent of one party to reach a final agreement with another party. The Memorandum of Understanding is a specific type of contract and is used to establish cooperation between research institutions. It shows the preliminary understanding of the parties and it needs to be signed. Contracts describe a legal relationship between parties. The author’s purpose is to identify categories of regulative patterns of modals by taking into account their quantitative presence and their rhetorical functions within speech acts. The main corpus (LoICorp) is made up of 40 Letters of Intent signed between English-speaking research Departments and Universities from the United Kingdom, the United States and Australia, and non-native English speaking research Departments and Universities from other countries. These Letters of Intent promote international research exchanges. The aforementioned corpus is compared to a MoUCorp, which consists of 40 Memoranda of Understanding and to a ContrCorp, including 40 corporate contracts (such as employment agreements, land agreements, lease agreements, etc.). The entire analysed corpus is composed of 130 753 tokens. 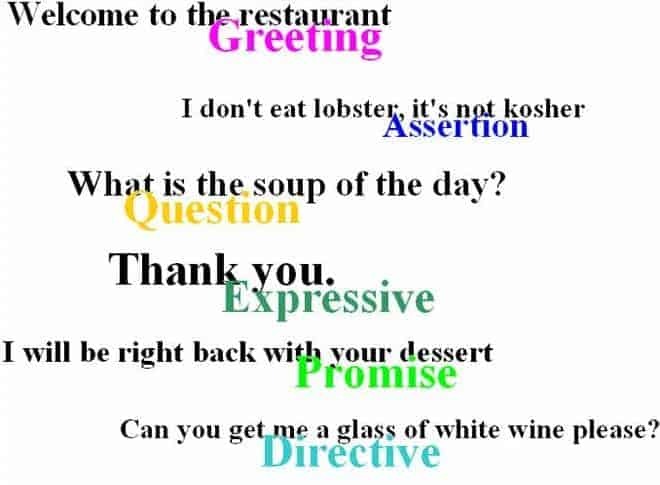 Directive speech acts “are performed by the speaker to influence the intentional behaviour of the hearer in order to get the latter to perform” (Haverkate, 1984: 107). Commissive speech acts show that the speaker is committed to take a certain course of action (Austin, 1962: 156). Directives can be explicit by using modals such as shall or must, or mitigated by including modals like can/could/will/would when performing them. Trosborg (1995) suggests a framework for the analysis of speech acts in MoUs. Directives can be classified into constitutives (types of structure: lexical main verb, be-constructed, shall), permissions / rights (types of structure: lexical main verb, may, can), obligations (are to, must, shall, lexical main verb, will) and prohibitions (may/can + negation, shall + negation, will + negation). Commissives are promises carried out through verbs such as: promise, acknowledge, warrant, covenant, undertake, accept, etc. From the methodological point of view, the occurrences of regulative acts were selected and extracted from wordlists by using a computer-assisted analysis tool (Wordsmith Tools, version 5.0, Scott 2008). Afterwards, all concordances were manually tagged in order to indicate only the relevant speech acts. The identified speech acts were then classified according to Trosborg’s theory and the similarities and differences between them were highlighted. Cavalieri noticed in the LoICorp a predominance of obligations (57.2%) and many of them were performed through the use of the modal will (40.0% out of the total of 57.2%). The modal shall had a percentage of 12.5% and the modal must and the construction be + to both covered a percentage of 2.4%. Constitutives and rights have almost the same frequency in this corpus (18.1% and 20.0% respectively). The results indicate that “the main function of constitutives is to establish the terms and conditions relating to date, implementation, etc. of a subsequent MoU following the LoI” (Cavalieri, 2014: 5). Permissions have a percentage of 20.0% and they are expressed in general through the modal may/can or by employing verbs such as: permit, allow, give permission/allowance etc. The most frequent verbs used in promises were the following: promise, acknowledge, warrant, covenant, undertake and accept (4.7%). Austin’s most influential work – How to do things with words (1962) – advocates that actions can be completed through language, or more specifically through the use of performative verbs such as the ones used for making promises. Their simple uttering is perceived as doing the actual action. Constitutives and rights are almost equally present in the MoUCorp (17.6% and 16.7% respectively). Directives are highly used in contracts (96.6%) and shall is employed to express obligations (42.4%). Constitutives have the same role in contracts and in MoUs, as they determine terms and conditions with respect to price, date and amount. Performative verbs such as warrant and acknowledge are used more frequently in contracts. One of the conclusions is that the MoU is a “hybrid genre” (Bhatia, 2004) that combines the directive component of the contract with the commissive component of the Letter of Intent. The occurrence of regulative speech acts is higher in contracts than in LoIs and MoUs. Directives, especially obligations, dominated in all three corpora (LoICorp 57.2%; MoUCorp 63.3%; ContrCorp 67.9%). Regulative acts are less frequent in LoIs and in MoUs, as they express nothing more than willingness. Constitutives are more used in LoIs and in MoUs, as these documents have an institutional role. Silvia Cavalieri’s article is enlightening with respect to commissives and directives in legal texts. A predominance of directives might be expected in these types of documents, as they are quite prescriptive. Furthermore, a future analysis could take into consideration also the context in which they occur. Putting the right commissive and the right directive in the right terms always leads to a fruitful collaboration. To read the full article, please access the following link: Languages for Special Purposes in a Multilingual, Transcultural World: Proceedings of the 19th European Symposium on Languages for Special Purposes. University of Vienna.